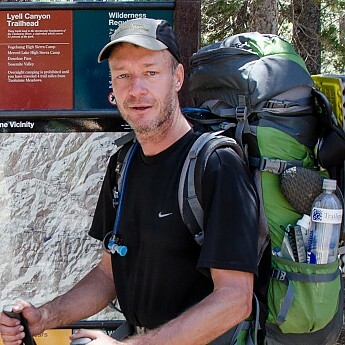 On the JMT (day 3, having started in Yosemite Valley) in 2012 with the "old" TS cap :). Nice flashback, Bill! You're so vintage. Oh, yeah, I use that bottle to fill the bags for the Sawyer Squeeze filter :).